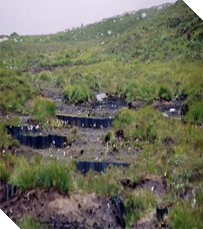 Masterpile offer a plastic piling system which is offered for small / medium load bank retention applications and peatland reinstatement projects. 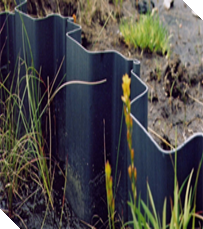 The piling is a thin wall plastic profile with a strong interlocking c lutch mechanism which is easy to install and provides an alternative to traditional materials. 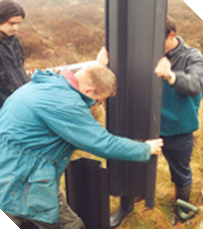 Masterpile is Rot and maintenance free and made from 100% recycled plastics. 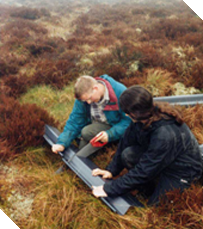 Moorland gripping is a practice of digging ditches to drain wet areas of heath and blanket bog. 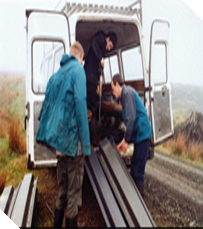 Gripping was a widespread practice in the upland in the 1960’s-1980’s It is now considered that the changes this caused to these habitats can be detrimental to the characteristic vegetation and species as well as increasing the risk of soil erosion and flash flooding. 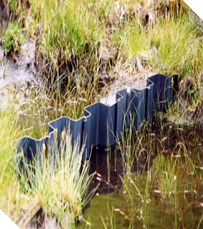 Grip blocking can help restore these natural drainage patterns, encourage re-vegetation, reduce erosion and minimise the knock-on effects of hydrological change downstream. 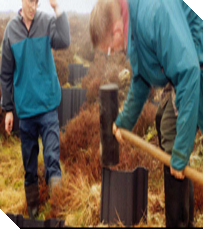 Grip blocking helps restore the characteristic community of plants and can provide important feeding habitat for birds.